Music can play an important part of our lives. It can stir memories and create a certain atmosphere. 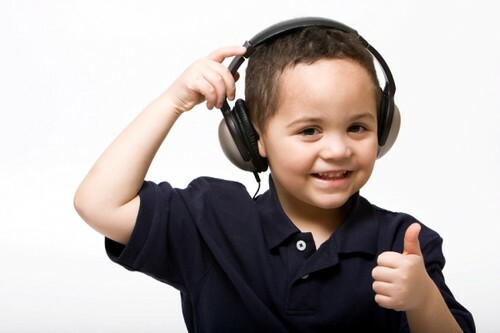 There are some theories that children that listen to certain types of music as infants have a higher rate of improvement in their motor skills and IQ. As a parent, you have the ability to introduce music to your children long before friends and popular culture influence them. Aside from teaching them about LP records or Rega turntables from your time, actual music lessons can be beneficial to them for the rest of their lives. Music lessons can help a child build not only their musical skills but also their mental and physical coordination skills and confidence. It can also turn them into lifetime music lovers. Before a music lesson begins, deciding which instrument is right for your child will prove to be the toughest part. If the child is too young to choose himself, some music schools will allow your child to come in, handle various instruments and see which one he seems drawn too and most comfortable with. An experienced musician or teacher will then begin typical lessons. Teaching your child how to handle the instrument, hear, and read notes. Great teachers will be able to tell each students weakness, and will help your child along by creating practice plans outside of the classroom. This can be a huge commitment for both you and your child, but ultimately it will be your child’s responsibility as to how far an fast they advance. This is a great lesson in practice and how hard work pays off. What is most important for you and your child to remember is that it is supposed to be fun. You want your child to become an open-minded thinker and music lover, not someone who equates music with resentment or hate. Music lessons are not something you want to force your child into. Let them become naturally passionate about it. Excelling in any art form is about love and passion. Encouraging them to try to play is fantastic, but should be left at that if it is not working out for them. Starting your children young in the music arts is a great way for them to begin a lifelong passion for it. Some music schools will have age limits for when your child may start. If you have a very young one who is showing a desire and interest for music early, you can encourage home music hobbies. It is possible to find even some instruments in child sizes. Getting your child interested and started at home with smaller versions of the instrument is a great way to save some money until you know that your child is interested for sure. Music can play a wonderful part in your child’s education. Whether it is sharing your old LP records or taking them every week to piano lessons, an education in arts can help your child develop into a stronger, smarter, confident adult. Find out more about LP Records. SoundStage Direct sell factory-sealed vinyl records. Over 30,000 titles in stock from your favorite vinyl artists! Also offering 180 & 200 Gram Vinyl LPs.